My name is John Osborne, and my company promotes movie making in Mendocino Village, and assists film companies that want to shoot anywhere in Mendocino County. I am a Project Manager, but have also worked as a Location Scout and Manager, Production Assistant, and managed back-ground placement. I can assist with casting and all aspects of a film production. 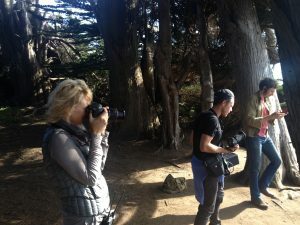 Mendocino – Home to many Movies!! Add yours to the List!! 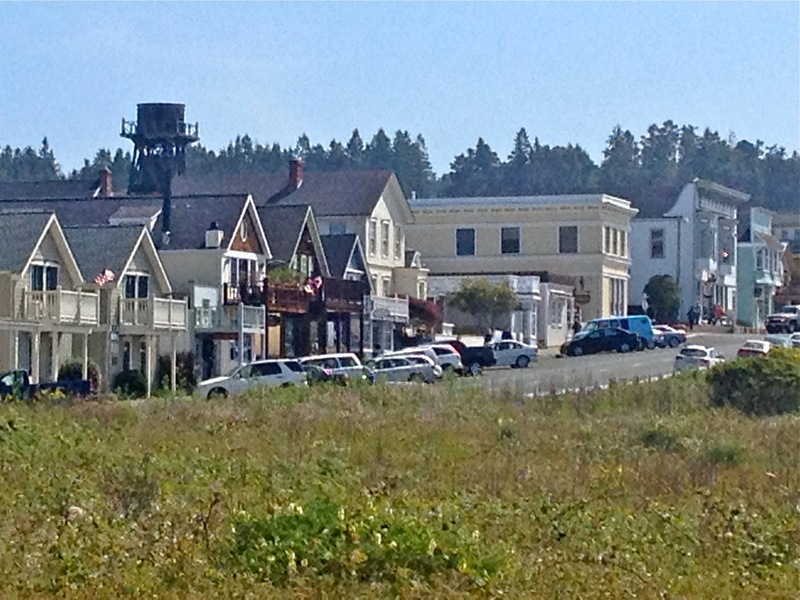 The small town of Mendocino (founded in 1850), on the Northern California coast, provides wonderful settings for many types of movies. Its quaint Victorian buildings, panoramic coastline, and often empty streets offer ideal locations for shooting! The fishing harbor of Ft. Bragg, California and the picturesque wineries along the beautiful Anderson Valley are nearby! So are lighthouses, breweries, and sandy beaches! Our services include finding locations, production management, casting and extras, obtaining permits, handling of dailies, craft services, hospitality, and transportation. We have many local connections and would enjoy working on your film in any capacity. 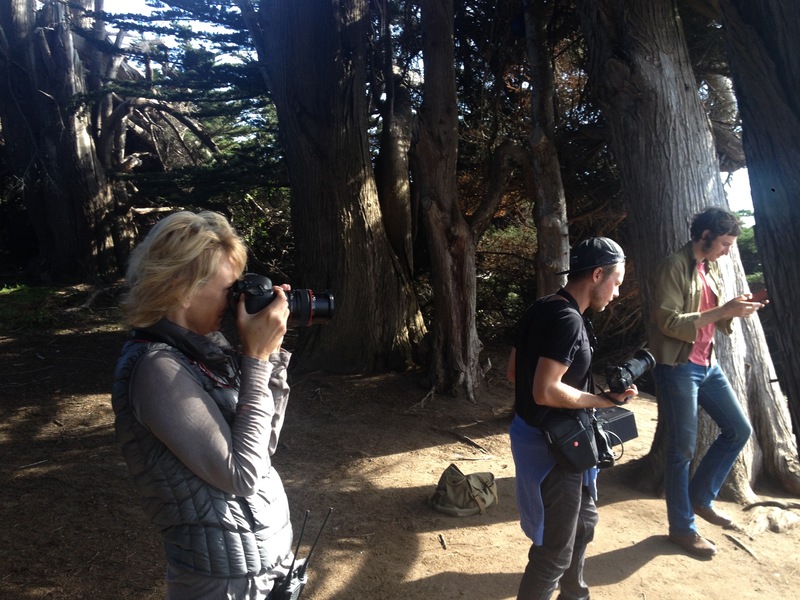 On location in Cypress Grove in Mendocino, California. Cheeky Monkey Films. That’s singer Matt Costa looking at his phone. 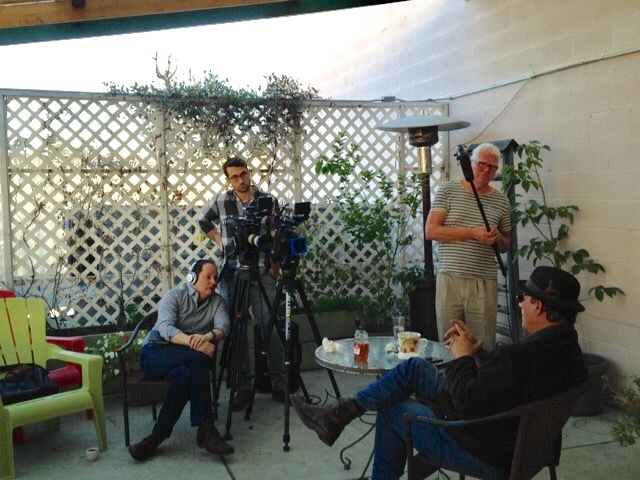 Recording interview with Robert Davi, for documentary film, Davi’s Way, a Tom Donahue film. Tom sitting with head phones. Davi wearing a hat. 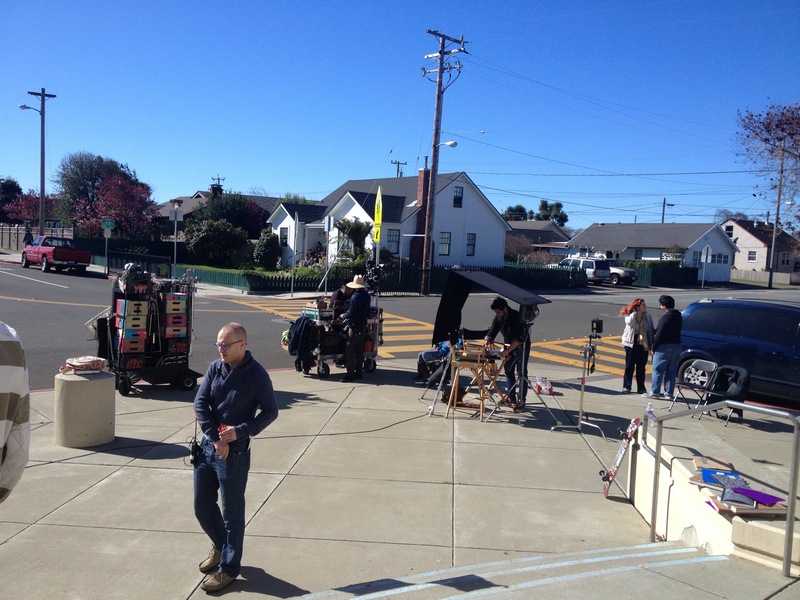 On location at the high school in Ft.Bragg, California for CRABS!, written and directed by Pierce Berolzheimer, a Mendocin local. 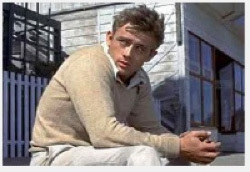 Here is a wonderful short film showing scenes from East of Eden (filmed primarily in Mendocino) compared to the same locations in Mendocino today. Thank you Herve Attia for your production. John at the same James Dean location on Main Street today in Mendocino.